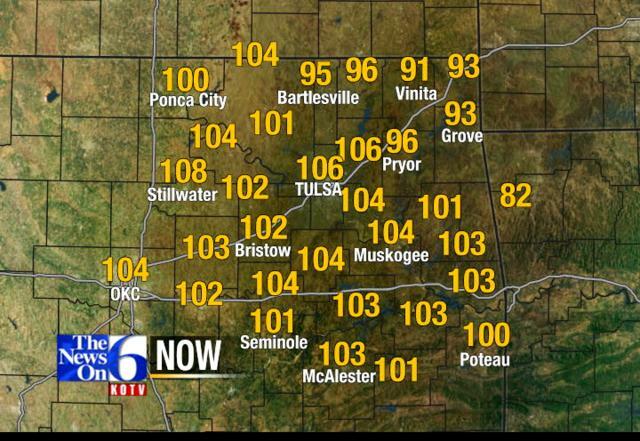 This is the weather map from KOTV.com in Tulsa at 7:30 pm on Aug 10. My goodness! Those are some hot temps for such a late hour! 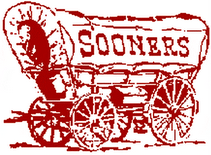 I just back from OKC last night. It is really hot there! 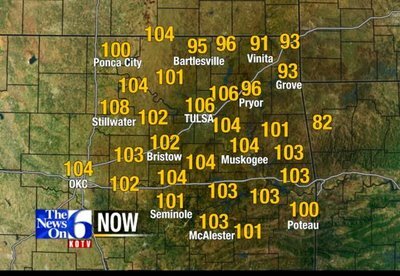 I can't remember a time when it was this hot and there is no rain or cooler temperatures in sight. It was still good to be home though. thats not fair....we are freezing here! And we were in Tulsa this day also; traveled south to Dallas. Still not as uncomfortable as HK and its humidity.